Wendy is celebrating the end of her first year in business and grateful to everyone who’s helped make the year a success. She is thrilled to be starting her second year with the addition of Blumar (Brazil) to the WMR family. Wendy will be joined at WTM by the Tico’s from Travel Excellence, Costa Rica and the lovely ladies from Blumar. Estancia Los Potreros, Argentina – their new water filtering treatment system is now fully operational, eliminating the need for any plastic bottles at the estancia. Mountain Lodges of Peru have a new website. If you haven’t been through our popular crisis management workshop, then get one booked in now. A great way of raising the profile of crisis management, learning from some excellent case studies, and working through an interactive desktop simulation – also a great team building exercise. All held on your premises or at our Chelmsford HQ. Copa Airlines has revealed its new Boeing 737 MAX 9 aircraft, with its first operation scheduled for September 20th between the cities of Panama and San Francisco. A total of 61 B737 MAX aircraft have been ordered, consisiting of thirteen B737-9, fifteen B737-10, and a further thirty three for with the variant is still to be confirmed by Copa Airlines. Copa Airlines will be taking delivery of 5 units of the B737 MAX 9 later this year. BOA are pleased to announce additional flights from Madrid to Santa Cruz over the Christmas peak. The additional services will operate on Thursdays from 06 December 2018 through to 24 January 2019. This is in addition to the current 4 weekly flights to Santa Cruz and weekly flight to Cochabamba. Flights are loaded in GDS with good availability. For further information please call 01293 813960. From October Iberia is flying daily between Europe and Guatemala. This is a 40% increase. All flights are operated by A330-200 with modern business (full-flat and aisle access) and economy cabins. Also starting from Spring 2019, Iberia is introducing Premium Economy to its daily flights to Cuba: extra space, comfort and additional baggage allowance. LATAM Airlines flies highest in South America for in-flight experience. 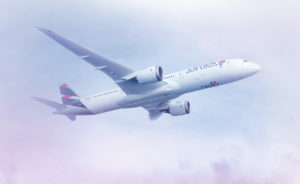 Passengers have chosen LATAM Airlines as a ‘Five Star Global Airline’ for the second year running in the APEX 2019 Airlines Official Ratings. LATAM Airlines was the only South American airline group to be named as a ‘Five Star Global Airline’, which is APEX’s highest accolade in its annual ratings – one of the aviation industry’s most respected benchmarking tools for onboard experiences based on independently assessed passenger feedback. 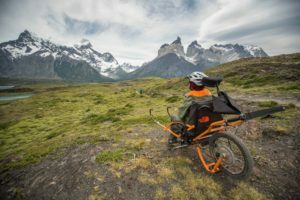 Surtrek is constantly innovating, looking for new ways to bring the best travel experiences to our partners and their trusted clients, making every South American journey both unique and unforgettable in the process. With this in mind, we have found a ground-breaking solution to a niggling question: how do we put the trip planning process back in your hands, in a way which looks great, is easy to use and so stylish you’d be proud to show it to your own clients while building the trip itself? Discover Your South America is the answer to so many of the travel industry’s questions – usability, aesthetics and speed for a trip building tool. All this means that, with us, simply pick a template which suits your travelling clients best, then start building their trip within a few easy clicks! Along the way, our specialist team will always be with you and on hand, checking availability and answering those all-important questions as the market-leading experts; it’s the best of all worlds. A swirl of turquoise and aquamarine lagoons cradle Gladden, an island fringed with coral and white sand in the heart of the Belize Barrier Reef Reserve System. 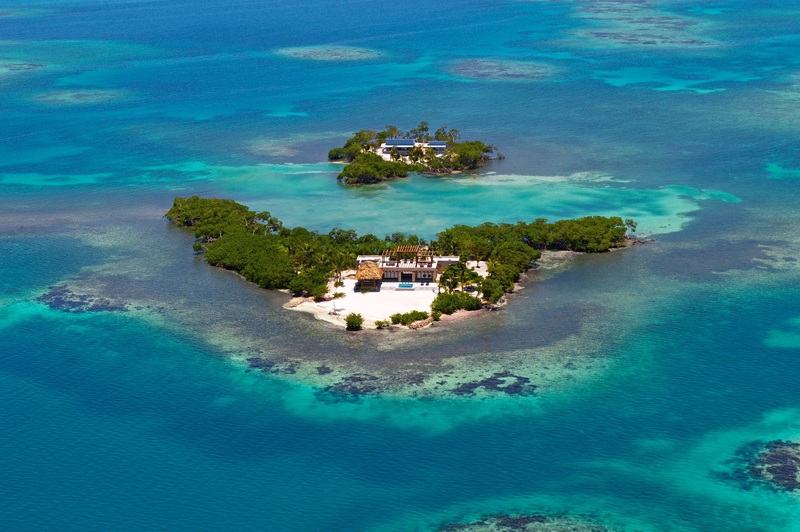 This island jewel harbors offers a private sanctuary, a casually elegant villa designed for just one couple, with the all-inclusive service of a luxury resort. More than 25 partners will be exhibiting on the Brazilian Tourist Board stand this year (stand LA250) at WTM. As well as sun, beach, gastronomy and MICE, there will be an emphasis this year on ecotourism, national parks and adventure travel. The Brazilian Tourist Board will be unveiling a special initiative to promote ecotourism among digital influencers who can can drop off their business card at the booth for further information. Agents can meet with representatives from destinations, airlines, car rental companies, and hotels. For press, editorial interviews with Brazilian Tourism Authorities can be scheduled. Visitors are welcome to enjoy a delicious caipirinha tasting everyday at 4pm. 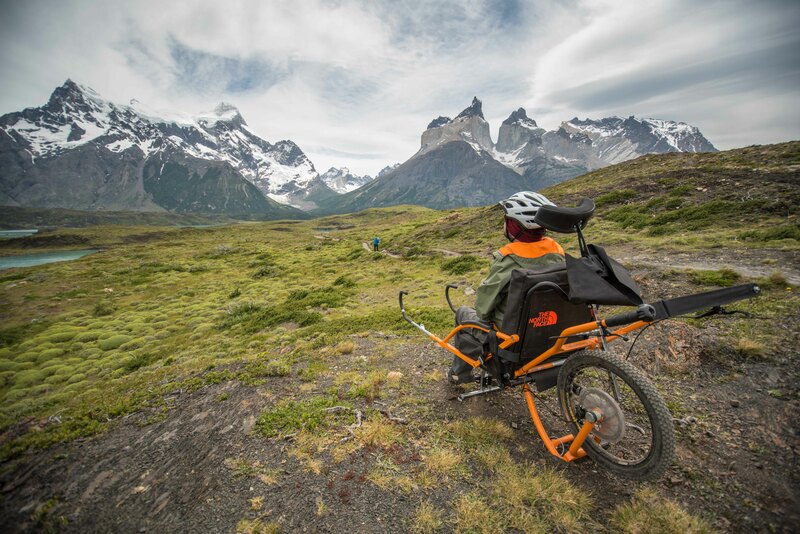 This is the second year in a row that they have taken home this prize, with their Dientes Trek on Navarino Island winning in 2017. This year their efforts promoting inclusive travel and accessibility in the travel industry helped them earn this award. As of September we are offering two full-day tours in regular service (SIB) in the Coffee Region exclusively for passengers staying in hotels in the Department of Risaralda. The first tour is Valle del Cocora and Salento that operates on Sunday, Tuesday, Thursday and Saturday; and a Coffee Process and Thermalism Tour, that operates Monday, Wednesday and Friday. Both include lunch and operate from 2 passengers. From gorgeous hotels sitting on deep ridges to beauty lying in pure life virgin rainforest, the new accommodations opening in Costa Rica in the next months is a mixture of unbelievable comfort, breathtaking views and the essence of the Costa Rican Nature. Read some of the fantastic features of these new glamorous alternatives for a stay in luxury while surrounded by the raw nature of the tropics of Central America. The award-winning Nayara Hotels is growing its collection with the announcement of a third, exclusive accommodation in Autumn 2019: Nayara Tented Camp. Phase one of Nayara Tented Camp will consist of 18 luxury tents, each made up of a master suite and en-suite bathroom (as well as an outdoor shower). Each tent will sit on its own platform furnished with an outdoor living area and a plunge pool filled from nearby hot springs. 12 of the tents will mirror each other with the option to connect two tents via a passageway, perfect for families visiting during school holidays. The remaining six tents will be standalone units, offering a private couple’s getaway. La Fortuna de San Carlos, often referred to as the gateway to the Arenal Volcano, has long been a favorite destination among travelers. Known as one of the best places in the world for travel experiences, La Fortuna is famous for outdoor adventures. Guests can explore the lush rainforest surrounding the Arenal Volcano while rappelling down a waterfall or gliding through the tree tops of Costa Rica´s lowlands. Raul Garcia, CEO of Advantage Travel and Anakonda Amazon Cruises, has been nominated for PURE Awards 2018’s Contribution to Experiential Travel honor. 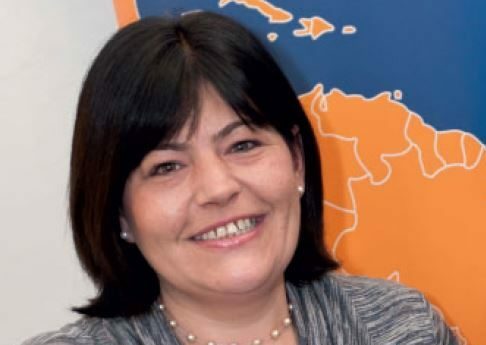 Garcia is one of five contestants shortlisted for the award. 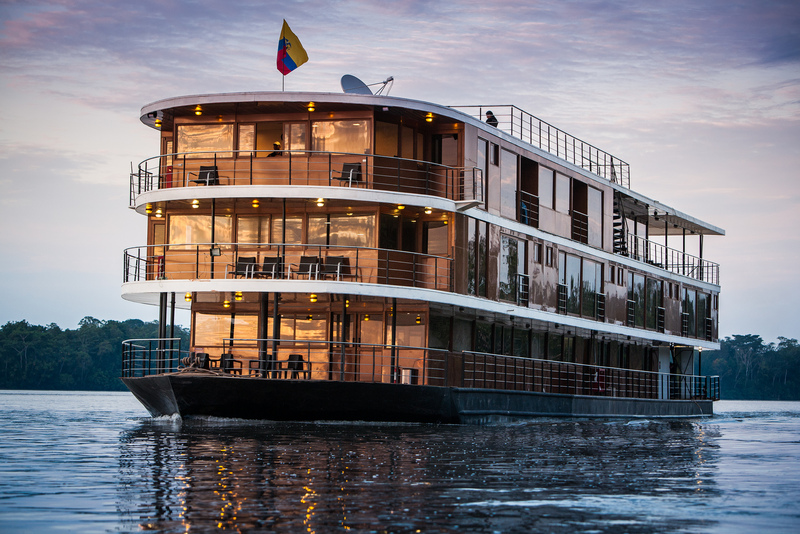 World Travel Awards has named Ecuador as the Leading River Cruise Destination in South America for 2018. Despite only having one river cruise line, Anakonda Amazon Cruises, Ecuador’s pristine portion of the Amazon rainforest qualifies the country as one of the preeminent cruise destinations for international travelers. Casa Natura Galapagos Lodge is pleased to share that researchers from Ecuador, Brazil and Argentina discovered 3 new species of snakes at the Galapagos Islands. They were discovered at Santa Fe Islands, Santiago Islands and Turtle Islet. This new discovery shows that the Galapagos Islands are not only an adventure and nature destination of the world, however it is also an important place for the scientific community at a universal level. 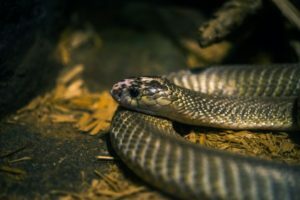 Pioneering centre for scientific research, Mashpi Lodge announces the opening of its Entomological Museum and Exhibition of Insects, and begins to create a ‘conservation corridor’ connecting the reserve with the Cotacachi-Cayapas National Park to allow more freedom of movement for residing species. Mashpi Lodge has been awarded South America’s Leading Eco Lodge 2018 by the World Travel Awards, whilst the Andean Chocó Ecoregion has been declared a UNESCO Biosphere Reserve. Quito-based luxury hotel Casa Gangotena offers exclusive access to the local San Francisco Brewery in celebration of this year’s 40th anniversary of Quito as a UNESCO World Heritage site. The hotel has unveiled a new rooftop bar and the restaurant has introduced a new cocina mestizaje menu, as well as launching chocolate tasting tour. Casa Gangotena has been included among the Best hotels in South America in Condé Nast Traveller’s Reader’s Choice Awards 2018. EQ Touring are proud to announce exclusive departures in a new live-aboard diving yacht. Departures combine scuba diving in Wolf and Darwin with naturalist visits led by expert hand-picked Dive Masters/Naturalist Guides. Below the cover of the jungle are the hidden remains of the once thriving Mayan empire: El Mirador. We arrive by helicopter to inspect the former metropolis which supported hundreds of thousands of Mayans in an area of 10 square miles. Then the hike up to La Danta offers a lookout point to take in the magnitude of jungle, history, of your place in it, far-flung from anything like it. Maya Trails are excited to offer a new excursion for travelers to Guatemala – a visit to the ethereal Blue Crater. 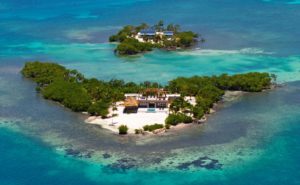 A natural sanctuary with crystal clear waters, guests can swim and snorkel to see the beautiful marine life and surrounding area. They will see underwater plants, colorful fish, freshwater otters and caracolera birds. The excursion departs by road from Flores to Sayaxche, then continues by boat to the Blue Crater. A picnic lunch is included, and after a leisurely lunch, guests return to their hotel. Don’t miss out on Dia de los Muertos (Day of the Dead), Mexico’s famous and fascinating celebration of death and loved ones who have passed. 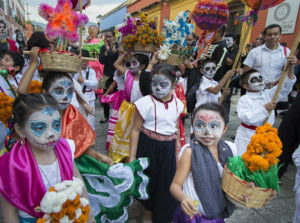 Made even more famous by films like James Bond’s Spectre and Pixar’s Coco, this celebration is attracting visitors from around the globe. Already sold out for 2018, contact us soon to join the colorful and joyous festivities in 2019 – before it is sold out! Chable Maroma, a luxury resort and spa, opened its doors on 10th September 2018. 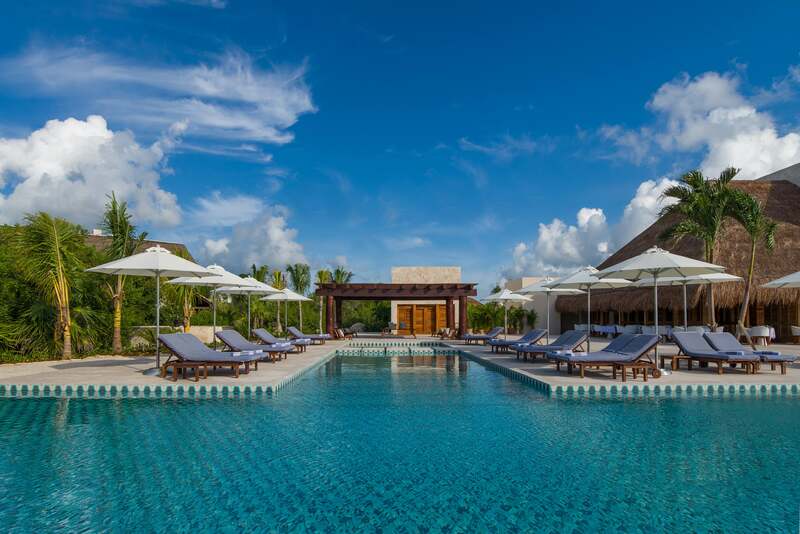 Located on Punta Maroma, Playa del Carmen, the resort is offering an opening rate of $620 per night based on a double occupancy nightly stay in Castia with private pool and a-la-carte breakfast for two. Valid for bookings until 15th December 2018 with travel between now and 21st December 2018. When people think of Gastronomy, Nicaragua may not be the first place that comes to mind! 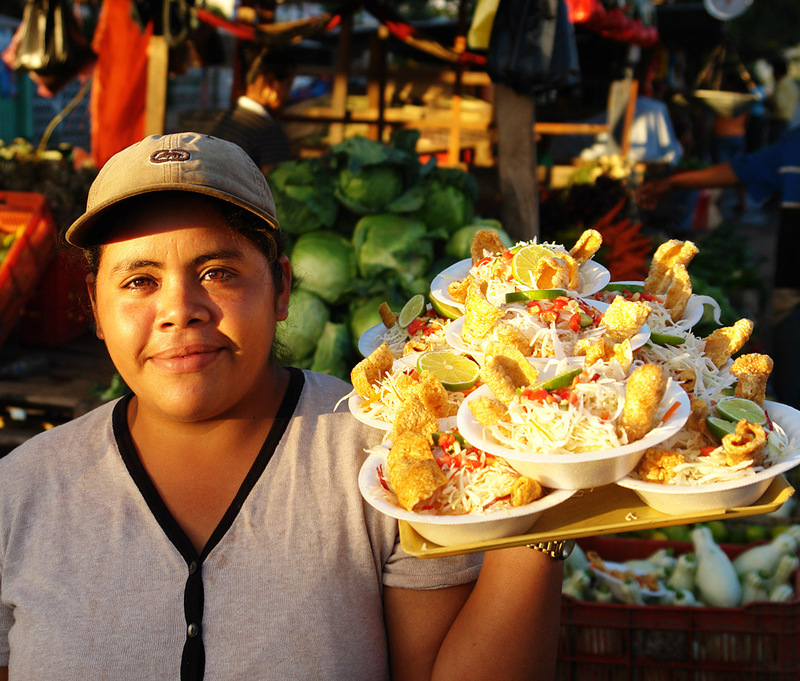 To challenge the stereotypical idea of Nicaragua being only “rice and beans”, we have created an exquisite itinerary for Foodies, proving that Nicaraguan cuisine is varied, innovative, wholesome, fresh, hearty, home grown and first and foremost delicious! Highlights of our Culinary Adventure Tour include: Flor de Caña Rum, Coffee Farms, typical local Cuisine, Cooking Class of traditional dishes, World Class Cigars and Cocoa Tours. 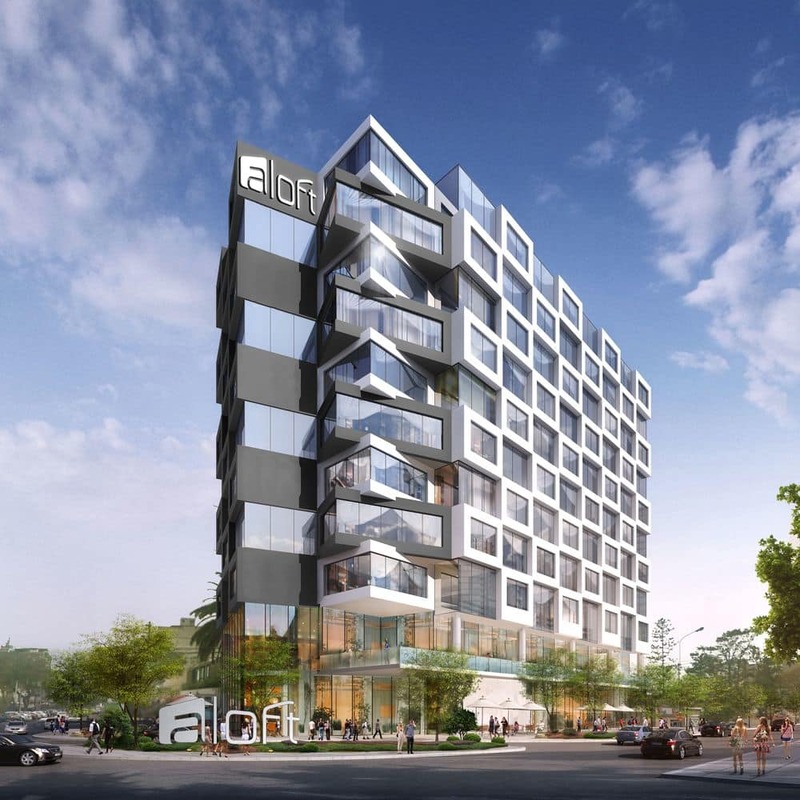 With an unbeatable location, the Aloft Lima will have 164 rooms and will feature bold and stylish design throughout as well as tech-forward features. 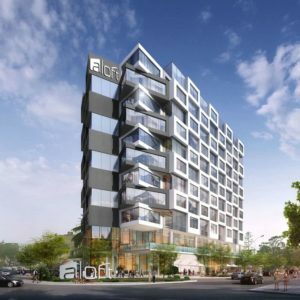 The Aloft Lima will bring tech-forward innovation, modern style and a vibrant new social scene to the Miraflores district. The hotel has been designed to serve the increasing number of hyper-connected global business and leisure travelers who visit the buzzing capital of Peru. 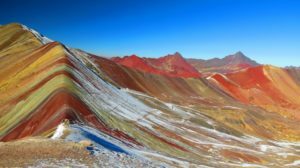 Vinicunca is located in the Ausangate mountain region of the Peruvian Andes in Cusco. They are all colored, some are terracotta, some lavender, and others are a vibrant turquoise. They’re colored by the sediment and atmosphere of the area, unique because of its altitude and isolation close to the ocean. But none are quite as marvelous as Vinicunca, also known as Rainbow Mountain. On select departure dates in 2018 and 2019, solo travellers will no longer have to pay a single supplement fee onboard its vessel sailing the Peruvian stretch of the Amazon. In comparison to a cruise industry average of +50% supplement fee, Aqua Expeditions is leading the way in encouraging customers to embark on a solo adventure. 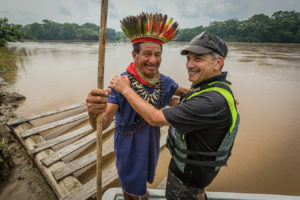 Whether it be accessing the remote communities on the riverbanks via skiffs, spotting pink dolphins in the Amazonian waters or enjoying a glass of champagne in the ship’s jacuzzi, a cruise with Aqua Expeditions is sure to leave solo travellers with unforgettable memories and a fresh perspective on the world around them. At the end of September we celebrated the introduction of our innovative new website . We are very proud of the exciting new images, engaging layouts, and maximized user flexibility. 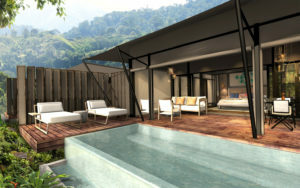 Visit www.mountainlodgesofperu.com to see the new site. The Salkantay Trek: We are happy to announce that Day 1 of our signature Salkantay Trek now includes a visit to the fascinating, yet seldom-visited, Quillarumiyoq (“moonstone”) archaeological site! During the guided exploration you will have a chance to study, among other compelling site features, the iconic laser-like etching of a moon on a granite boulder, a celebrated example of Inca cosmology.